Well it is safe to say that soup season is well and truly here, which is why I am bringing you a mouth-watering collection of Homemade Healthy Soup Recipes made right in the Instant Pot! Living in Northern California where the weather is stinking hot for 8 months of the year, and being from Northern Ireland where it rains for 8 months of the year, I really CRAVE those cold rainy days where you get to snuggle up inside with a bowl of piping hot soup and forget about the world outside. Nothing beats a soup made in the Instant Pot! Not only is it super quick, but the flavor is intensified and if it’s done right the meat and veggies are just perfect EVERY time. I partnered with some other lovely bloggers from all around the world to bring you this bumper Instant Pot Soup round-up to warm you from the inside out (quickly). 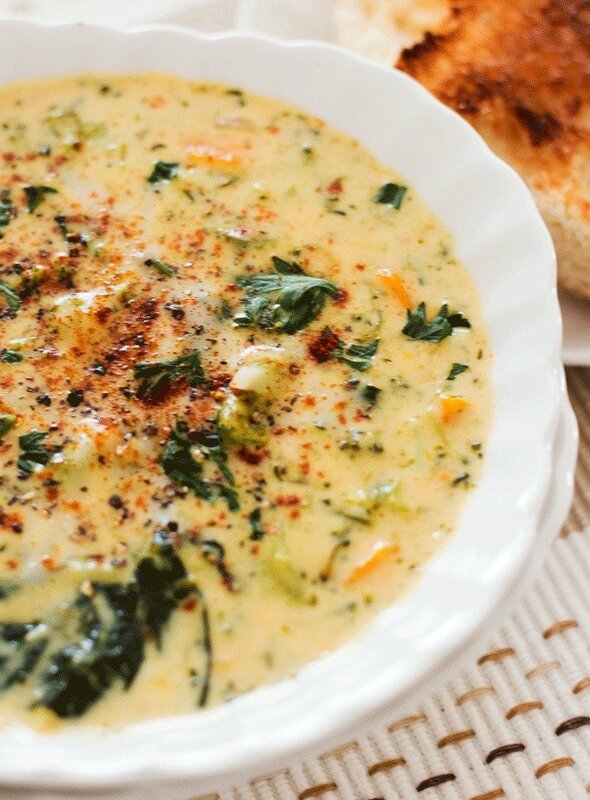 This Instant Pot Broccoli Cheese Soup recipe has been going CRAZY over at Whole Food Bellies for the past couple of weeks, and for good reason. It is loaded with veggies, is SUPER CHEESY and needs just a handful of ingredients you will already have on hand. Ready in only 20 minutes it makes the perfect midweek bowl of comfort. With minimal prep and tons of flavor, this Butternut Cauliflower Soup from Peas and Crayons is sure to be a new Fall favorite! 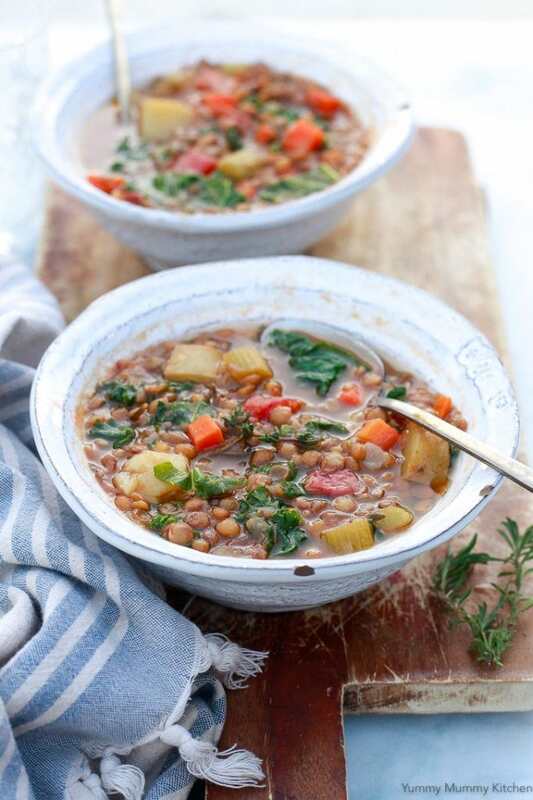 This simple Veggie Lentil Soup from Yummy Mummy Kitchen is hearty, satisfying, and filling. It’s feel-good food that’s filled with fiber, protein, vitamins, and minerals. 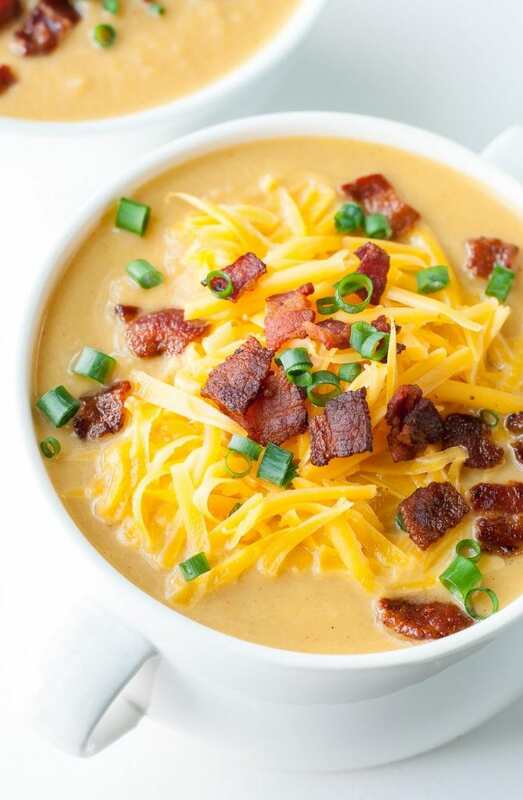 Flavorful, delicious and comforting, this Instant Pot Potato Soup with Cheddar and Leek from Whole Food Bellies comes together in just 25 minutes from start to finish. The perfect bowl of steaming goodness for a cold night. 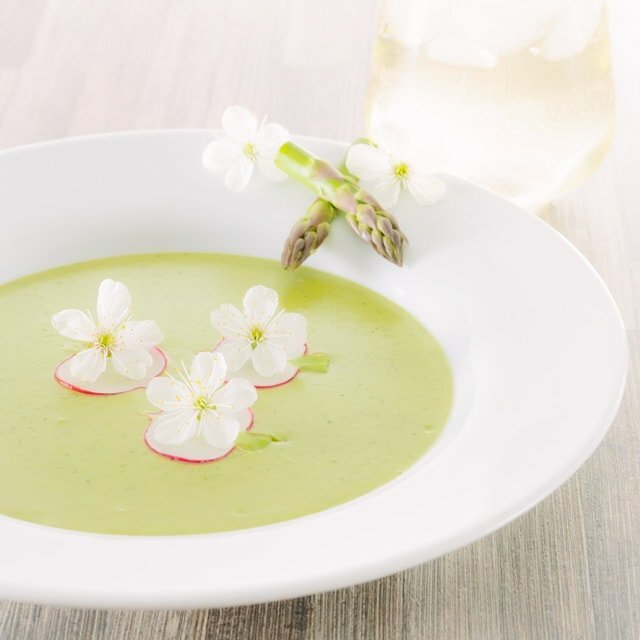 Cream of Asparagus Soup from Krumpli is a beautifully indulgent spring like dish with a surprising and tasty garnish. 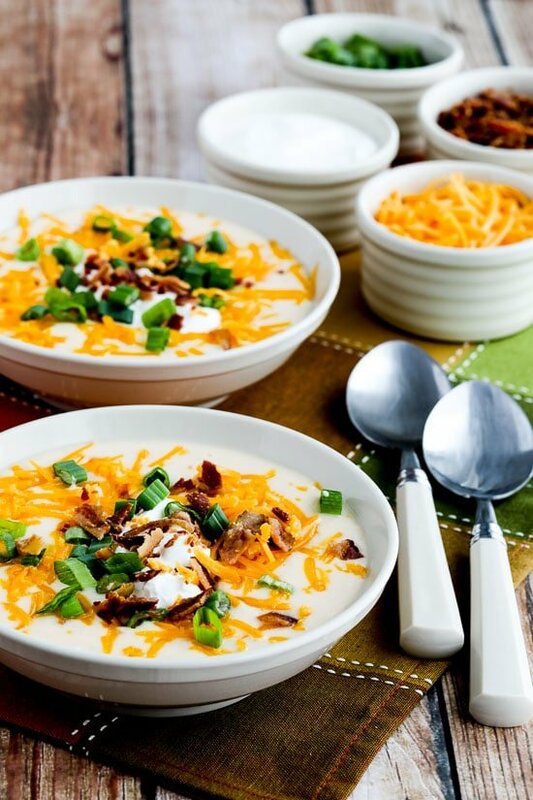 This Instant Pot Low-Carb Loaded Cauliflower Soup topped with cheese, sour cream, bacon, and sliced green onions from Kalyn’s Kitchen is also Keto, low-glycemic, gluten-free (and delicious). 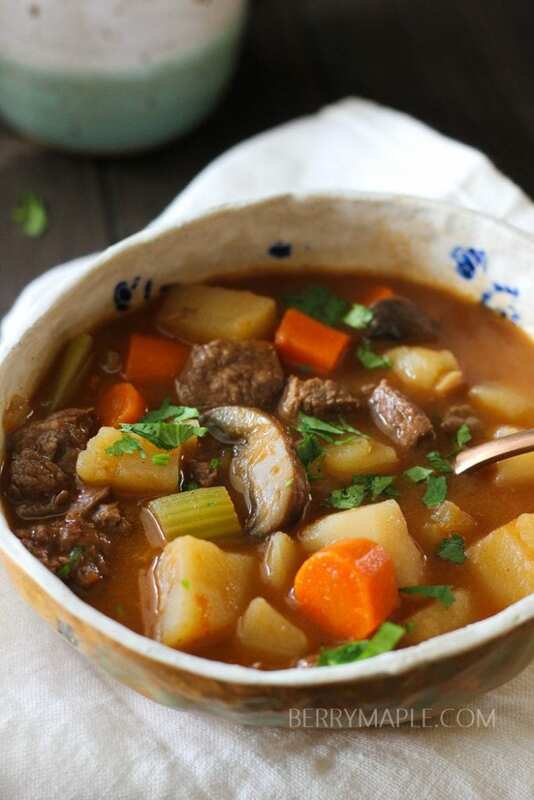 Thick, delicious and absolutely comforting Old Fashioned Beef and Vegetable Soup from Berry Maple will comfort you on a cold day! 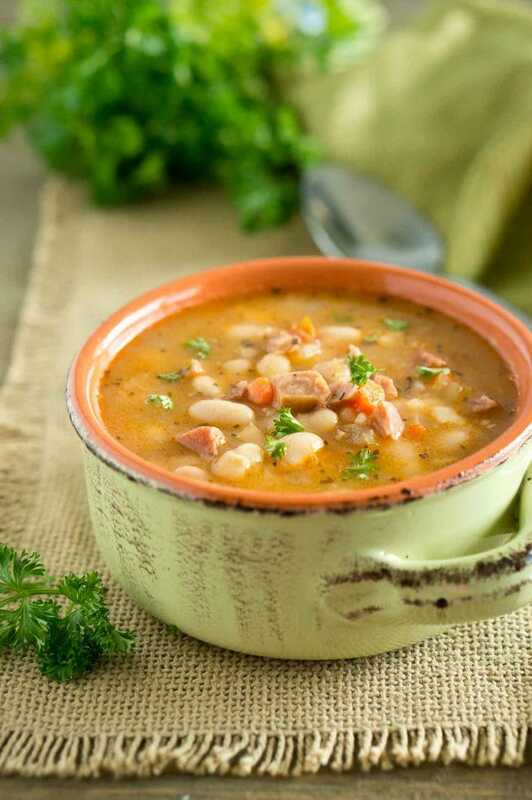 Hearty, starchy and filling, this Rustic Ham White Bean Soup from Delicious Meets Healthy is the epitome of comfort food. This soup is an easy and satisfying way to transform leftover ham and a ham bone into a hearty meal. This super easy and Instant Pot Lasagna Soup from Whole Food Bellies will have you grabbing seconds! It has all of the great flavors of a traditionally slow baked lasagna with only a fraction of the time required! 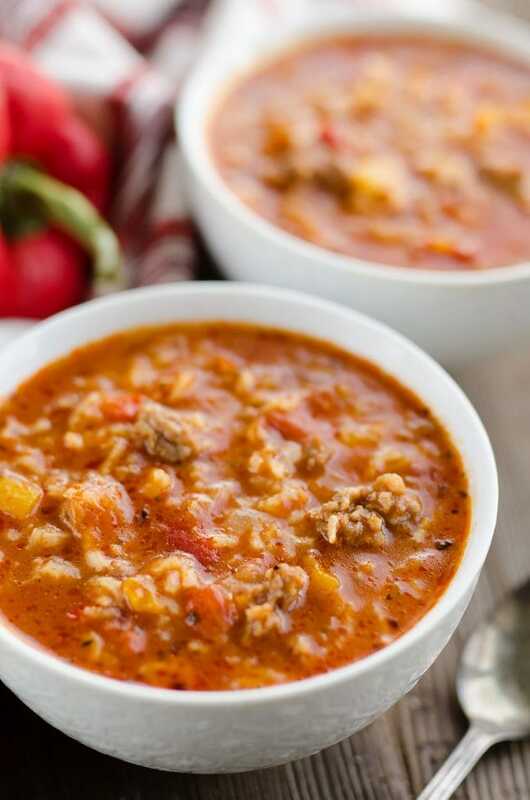 Mild Italian sausage, rice, vegetables and a light tomato and beef broth come together for a rich and delicious meal everyone will love in this Stuffed Pepper Sausage Soup from The Creative Bite. 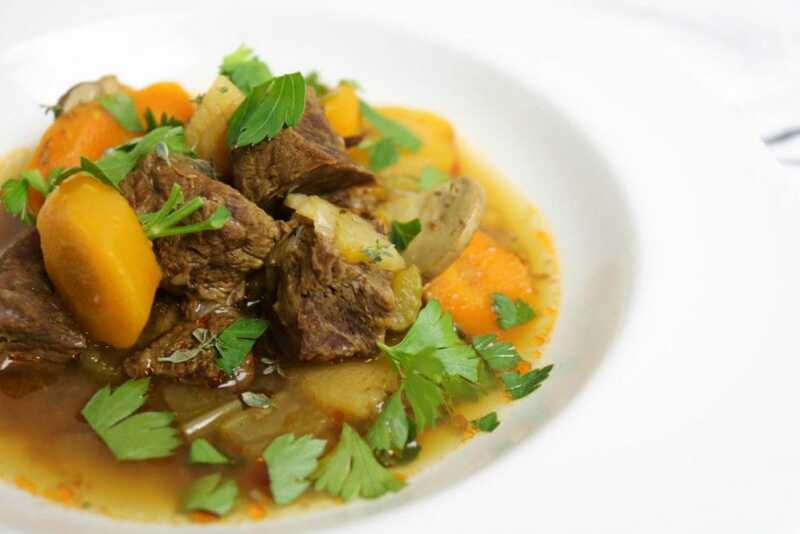 This Paleo Beef Soup from From Pasta to Paleo is really more of a stoup, it’s thicker than soup because all the delicious root vegetables soften in the Instant Pot but isn’t quite a stew. If you love eating at Olive Garden, you probably know about the most delicious soup they serve there. 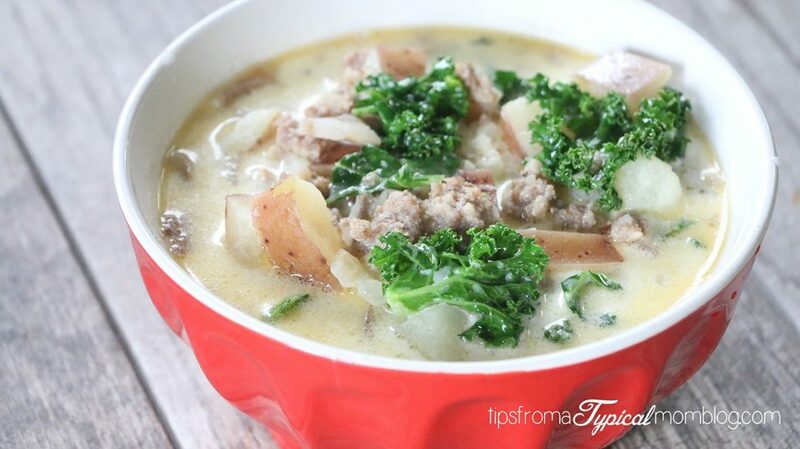 This Zuppa Toscana Soup from Tips From A Typical Mom Blog is a great make at home version that will be on the table in no time. 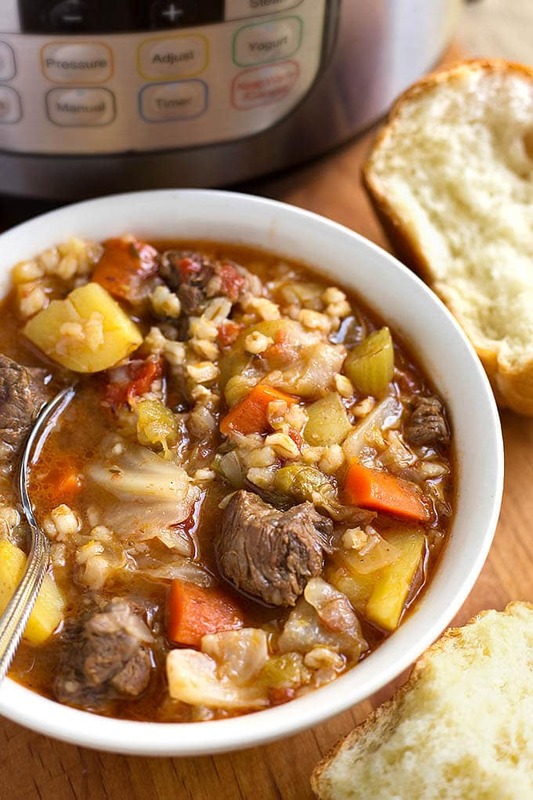 This Instant Pot Beef Barley Vegetable Soup (I know, long title!) from Simply Happy Foodie is absolutely a comfort food, one-pot meal. 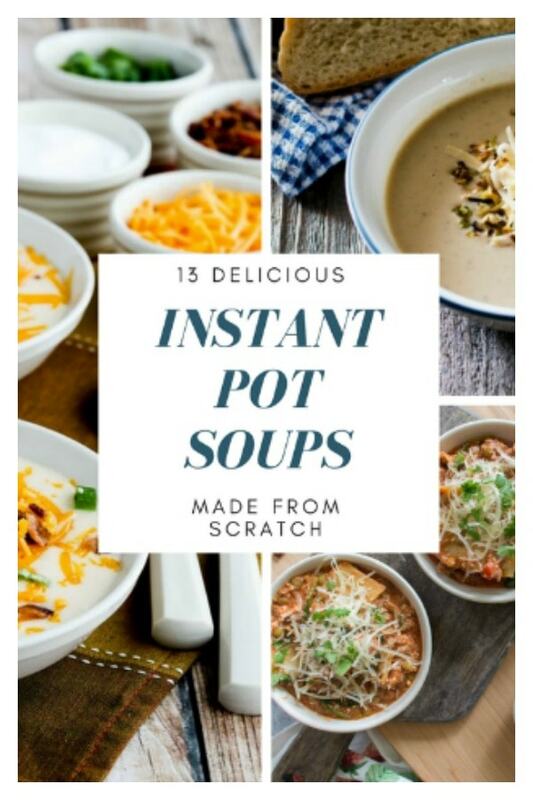 And there we have it, 13 Homemade Healthy Soup Recipes Made in the Instant Pot! Which one do you want to try first? If you try any out be sure to pop back and let us know how it went. Happy Eating. 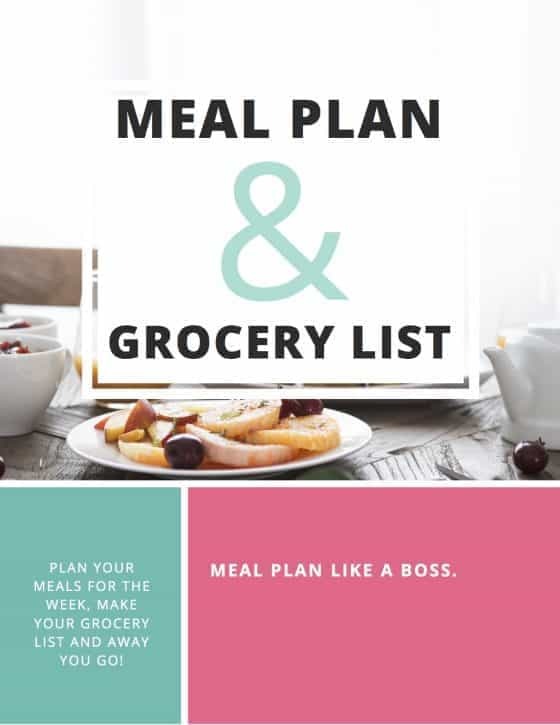 Buying an instant pot next week thank you for the recsource! Oh yay, enjoy!! 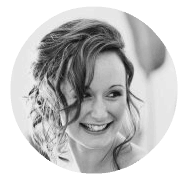 There is a bit of a learning curve but once you get going I am sure you will love it 🙂 We use ours pretty much every day. I’d love a bowl of each of these this season – it’s so chilly and they look SO GOOD!!!!! Soup is the ultimate warmer for this chilly weather!! Yum, so many tasty looking soups! Thanks for including my Low-Carb Loaded Cauliflower Soup!